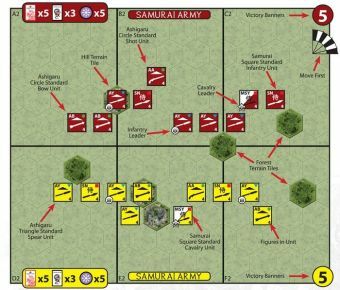 So what makes GMT’s Commands & Colors: Samurai Battles game Great? In a word, More! 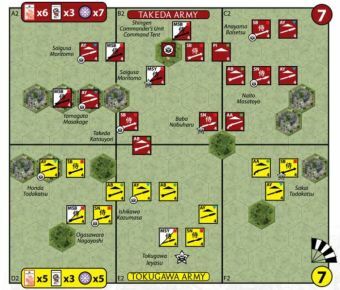 GMT’s C&C: Samurai Battles game has more scenarios, more units to deploy, additional types of Japanese units, a jammed-packed battlefield with more units and more terrain. And there are still more expansion materials already waiting in the wings. 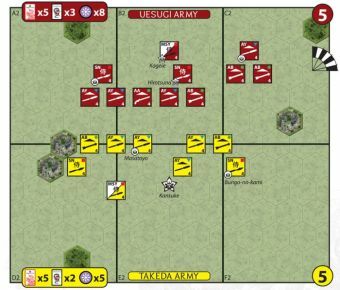 First - there are more units and more unit types in the game. Yep, it will take some time to apply stickers to all the blocks, but doing so is a breeze, when compared to the time it took to assemble figures. When done, blocks are very durable and easy to store. 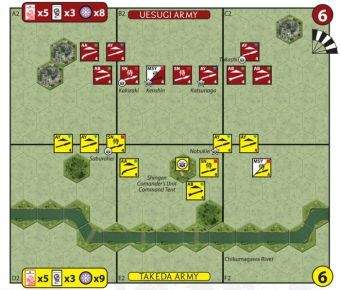 Second - the battlefield comes on a one-piece mounted map board. Not really any larger in that it still stands at 11 hexes deep by 12 hexes wide, but there are plenty of terrain tiles including new types of terrain, fences, ramparts, castle walls and more. 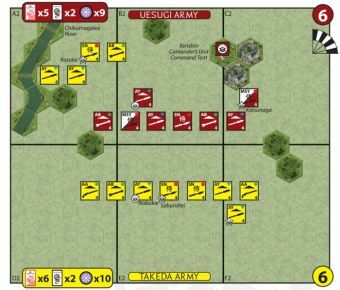 Third - more scenarios, which no doubt will be the most important feature for anyone who owns and enjoys the previous version of Samurai Battles from Zvezda. If all goes as planned, the game will have around 40 scenarios. 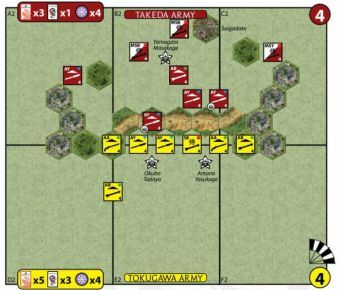 Truth be known, in regard to Zvezda’s Samurai Battles game... A few weeks before the game was to go to the printers, I was informed that the number of plastic figures originally planned for the game had been reduced. 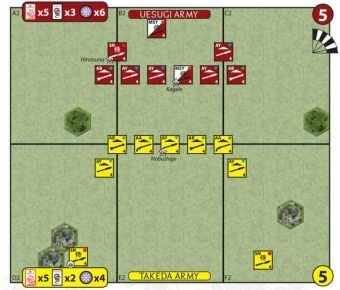 Therefore, the number of units in most of the Commands & Colors scenarios had to be reduced. 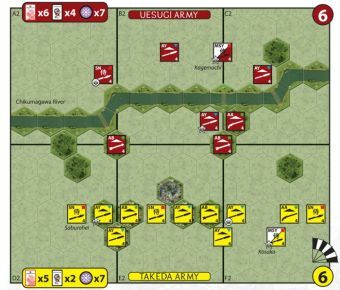 After a few days of scrambling, the Commands & Colors scenarios were adjusted. 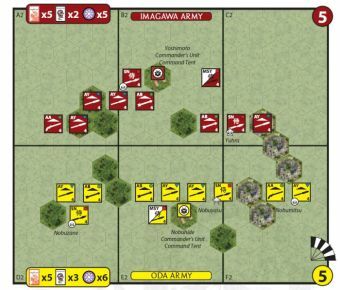 So even if some of the battle scenarios titles in GMT’s scenario booklet are familiar, they are not exactly the same because they are now back to their original unit deployments, which means more units to command.